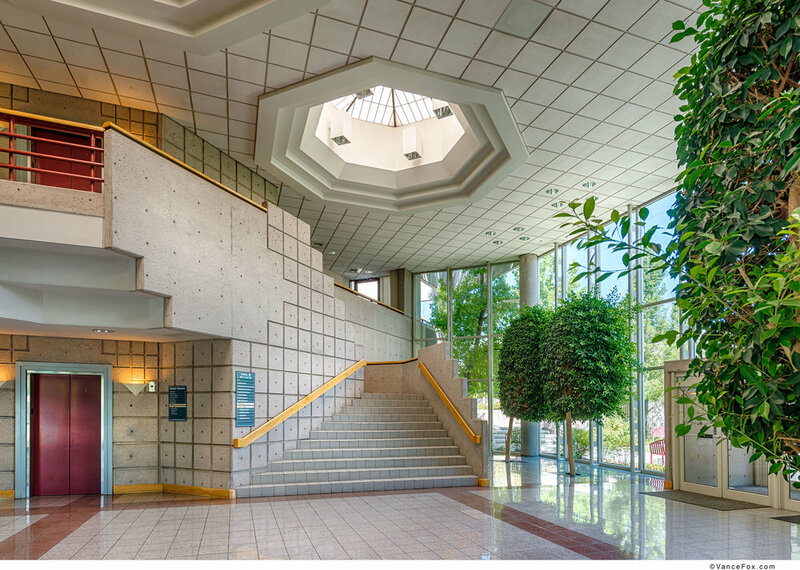 Collaborative Design Studio designed this two level building with 100,000 sq ft of administrative space for eight departments, a commission meeting room and parking garage. The design approach was to develop a program through in-depth departmental surveys and collaboration with a Steering Committee to develop consensus. The site design needed to fit into a larger campus with other County buildings and the County Fairgrounds. The building design goals included: overall attractiveness, flexibility in usage and technology, inviting to the public, energy efficient, expandable, comfortable for employees and the public and functionality. The design met and exceeded all design goals with: use of daylighting and sun shading to reduce heat gain; plus, the selection of HVAC and electrical systems which maximized energy efficiency and comfort. 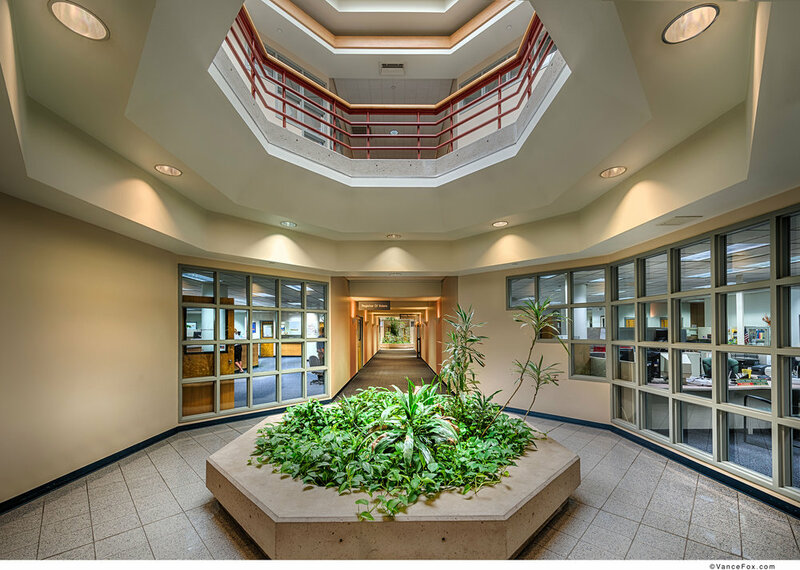 In 2006, Collaborative Design Studio was commissioned to program, reconfigure and expand the offices of the County Manager, Commissioners, Human Resources, Finance, Purchasing, Risk Management, Planning, Building and Community Relations to meet the growing needs of the County.